This Holi Sale by Amazon is all you need to fill your bags. This Irresistible Amazon Great Indian Festival Sale is Sure to Fulfill all Your Holi Shopping Desires in an Unbelievable Budget! Holi is just around the corner and I know all of you are worried about your shopping. In this busy schedule, it’s pretty understandable that you have not yet done with your Holi Shopping. Well! The delay in your shopping is going to be a blessing in disguise for you because e-commerce giant Amazon is going to surprise you with huge discounts, great offers and irresistible deals. Amazon is a key marketer during the festival time in India. It surely knows the perfect time to hit its target and picks out the most accurate arrow, which can turn out to be a sure shot super hit. So, here it is again with its Great Indian Sale. The Amazon Sale is going to take place on 9th, 10th and 11th March 2017. 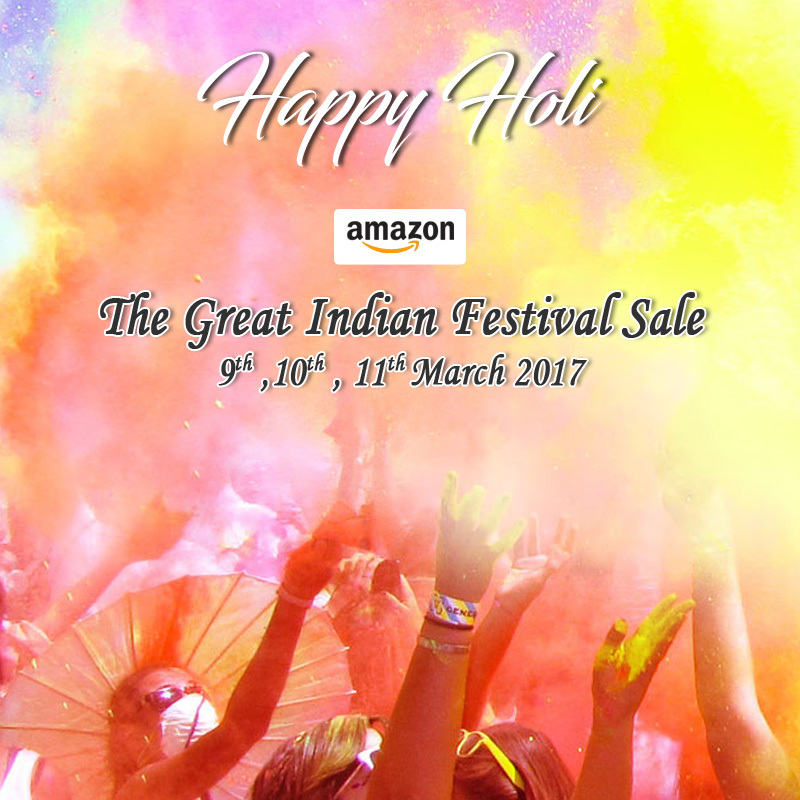 As we have already mentioned that, this Amazon Sale is being held on the account of one of the biggest festivals of India, “Holi”. You are sure to save huge while shopping in this Holi Sale. Amazon is one of the largest online shopping portals in India and this Holi Sale is going to be a blast for the company as well as its customers. There will be sale on almost everything like clothing, electronics, fashion accessory, home appliances, kitchen appliances, books, cosmetics, etc. 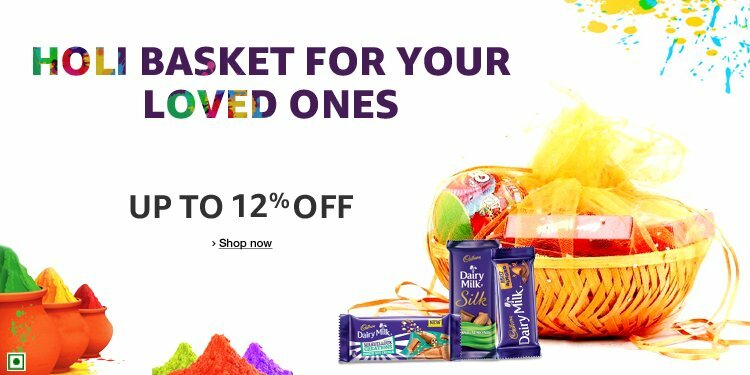 There could be no better time than this to shop huge for this Holi. I would suggest you to start making your list from today itself so that you don’t end up missing out anything. There is going to be up to 70% discount on hundreds and thousands of products. Not only this, get ready to be amazed by enthralling deals every hour. There are going to be hourly deals too which will be valid only for an hour. So, this is really attention grabbing and you need to keep your eye on the products you really want to be in your cart before they are gone. Sale on mobiles and electronics have always been a speciality of Amazon and here you will get no less than before, it will surely be more. The hottest electronic category which is mobile, is expected to witness bumper discounts and offers on the products. Brands like Sony, Motorola, Oneplus, Xiaomi, Samsung, HTC, Apple etc. are going to see great discounts. So, the wait for your dream mobile is going to get over now. Just make up your mind on a mobile and grab it as soon as it is up for sale. You will be privileged enough to make use of special discounts on new arrivals too. Besides this, there will be an “Open Sale” of Amazon exclusive mobiles, amazing offers on best-selling mobile phones of 2017 and big discounts on mobile accessories. This Sale will give you exciting offers on a range of other electronic products like laptops, keyboards, laptop sleeves, Bluetooth headphones, USB hubs etc.